Clearly the days of expecting to receive an engraved pocket watch at 65 and then golf-carting into the sunset are gone. This has major implications for anyone approaching or planning for retirement. People are projecting a meaningful balance of work and lifestyle. As Catherine Collinson, CEO and president of Transamerica Center for Retirement Studies and a retirement and market trends expert, says, "Our survey finds that many workers are envisioning retirement as a chapter in life that includes both work and leisure. Many are expecting to work beyond age 65 out of financial necessity and for healthy aging-related reasons such as to 'be active' and 'keep my brain alert.'" Transitioning into a work-life balance before full retirement involves change, Collison adds. This could be reducing work hours or working in a different capacity that is either less demanding or more personally satisfying before someone fully retires, she explains. In the U.S. Census data, there were 1.3 centenarians for every 10,000 people. Worldwide, the centenarian population is projected to grow rapidly, with the United Nations estimating around 3.68 million centenarians by 2050. Taking this into account as we think about our own retirement longevity can be instructive. In fact, according to the Social Security Administration, a man reaching age 65 today can expect to live, on average, until age 84.3. And a woman turning age 65 today can expect to live, on average, until age 86.6. Keep in mind that those are just averages, too. What are my later years, which can stretch into decades thanks to healthier lifestyles and advanced medical care, going to look like now? How will I plan so that I’ll have the financial resources to fund my longer-term, reimagined retirement? What actions can I take now to face down retirement risks that are more likely to crop up the longer I live? How will I fare if health issues prevent me from working, and therefore earning, as long as I had planned? Abraham Lincoln famously said: "Give me six hours to chop down a tree and I will spend the first four sharpening the axe." Right now, as you prepare for retirement, think of it as sharpening your axe. You have more tools and strategies at your disposal than your parents or their parents ever did. And you will need them to serve you well over your longer planning horizon. While this is by no means an exhaustive list, here's a starting point of factors to consider. The uncertainty of these variables can exercise a heavy hand especially as retirement stretches out for potentially many decades. 1. Rising inflation, which reduces everyone’s purchasing power, is a threat to many retirement plans. You may be projecting your spending in retirement and your lifestyle-based income needs. It's also important to heed how personal expectations will by affected by rising prices for everything, including the most basic of human necessities: food. Let's consider the effects of inflation in some content below. Here is historical data of different goods over time, based on U.S. city averages for pricing. Some of these goods effectively doubled in price from 1980 to 2018. In a white paper from HealthView Services, data indicates healthcare costs will exert a heavy hand on the retirement landscape. A healthy couple retiring at age 65 this year will require a little over $266,000 to pay for the costs of Medicare Parts B and B and supplemental insurance for their lifetime. Likewise, for a healthy couple that is 55 years old and retiring 10 years from now, those costs will shoot up to roughly $320,000. That's without factoring in all healthcare costs, too. 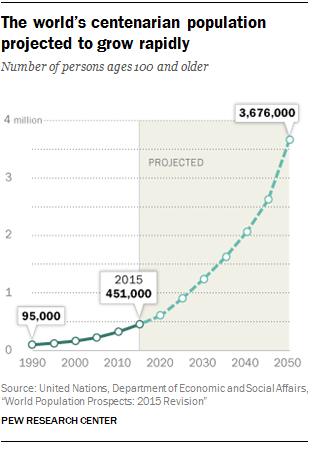 Again, for a healthy couple retiring at 65 this year, total healthcare costs will be sizable. When you factor in dental care, vision care, co-pays, and out-of-pocket expenses, the couple's total healthcare costs for their lifetime goes up to almost $395,000. Some annual total healthcare cost projections, in 5-year spans, at select age benchmarks can be seen in the table below, courtesy of HealthView Services. 3. Declining work options are the elephant in the retirement planning room. Will you really have the opportunity to work as long as you think you will? That Transamerica study found that, just as not all those planning to work longer were staying healthy, only 56 percent are focused on performing well at their current job and even fewer, 46 percent, are keeping their job skills up to date. As Collinson noted in a Forbes column by Richard Eisenberg, looking at data trends such as the labor force participation rate show a step-off in employment after age 65. Less than 20 percent of workers in the labor force in 2016 were age 65 and older, while less than 10 percent were age 75 and older. And, compared to workers in younger age groups, workers who are 65 and older have a longer average length of unemployment. Whereas a 20s-something had an average unemployment span of around 19-21 weeks in 2017, a worker aged 65 or beyond had an average duration of nearly 40 weeks. One tool that has remained a go-to for generations is insurance. Luckily, as those planning for retirement face many new and evolving income challenges, they have at in their toolbox innovative products and strategies to help them plan for and manage healthcare and long-term costs. Another smart move is to be mindful of when you take Social Security and start taking withdrawals. What will your precise "withdrawal" strategy be? According to experts, an across-the-board 4 percent withdrawal rate most likely won't cut it for planning. And, depending on your risk tolerance, income level, and lifestyle expectations, your income strategy may need some guarantees and flexibility. Working with a retirement-focused financial professional helps you plan proactively for your work vision and other retirement goals. They will help you plan for your retirement income streams, get those in place, determine what liquidity you need for emergency situations, and evaluate your complete financial picture. Overall, it's about getting you ready to enjoy your retirement with confidence.